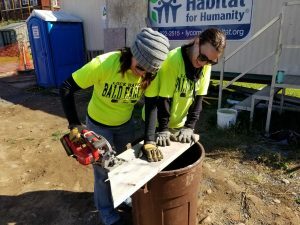 The Fairfield Inn & Suites Towanda and Fairfield Inn & Suites Lock Haven teams partnered up again this year on October 17th to participate in 2018 Rally to Serve Day – the Fairfield brand’s way of giving back to their local communities. 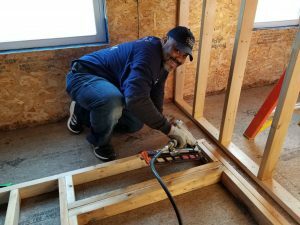 For more than a decade, Fairfield has partnered with Habitat for Humanity to help those in need of housing and they’ve done just that by contributing labor, funds, and supplies since 2004. 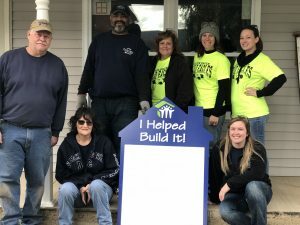 These two Shaner teams worked alongside other volunteers from within the community to help the Greater Lycoming Habitat for Humanity chapter work on their landmark 50th home build. 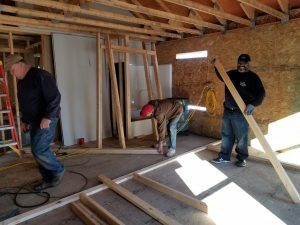 One of the future homeowners was present during the morning to help with the build and was very emotional and appreciative to these crews for showing up to help out. 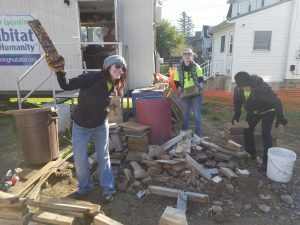 She explained that there has been a lack of volunteers lately and they most likely won’t meet the scheduled finish date, but she was very excited to hear that these hotels have even more associates who are interested in coming down to help and will be scheduling more work dates in the near future. 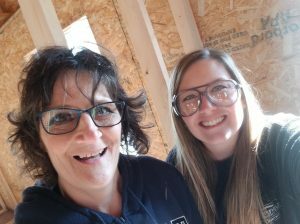 The associates who participated had a blast helping with framing, insulating, hanging sheetrock, cleaning up the site a bit, and, of course, picking on each other and making jokes all day long about certain team members handling air nail guns, saws, and other power tools. 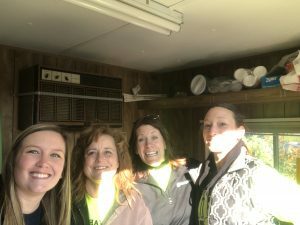 It was a great day of team building and learning. Both teams enjoyed the opportunity to help a wonderful cause and show their Marriott and Shaner Spirit to Serve! Way to go ladies!!! Go Blue!! Awesome job everyone! Way to show your Fairfield Spirit to Serve!! 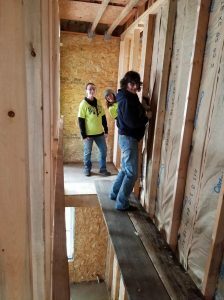 Thank you for taking time out of your busy schedules to volunteer for a great cause! Great pictures of the team! This is so awesome! Thank you for your willingness to serve! 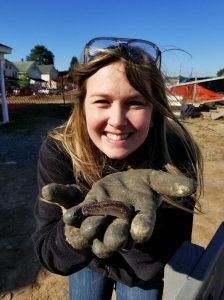 Great job Towanda & Lock Haven Teams! You make us proud!